Life can change in a split second. 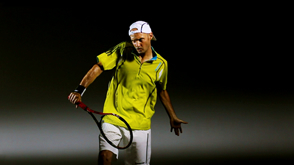 An athlete can win or lose a match, or a nature watcher can catch or miss a crucial moment. That once-in-a-lifetime hero shot can happen any time, and it’s all yours, if you’re ready. GC-PX10 allows you to capture scenes and discover what’s really there — through high-resolution digital stills at 60 frames per second, or progressive Full HD videos from which you can grab the best frame as a digital still, or with 300 fps high-speed recording to slow the action down and see what you’ve been missing. Grab the GC-PX10, and get ready to capture every split second, and seize every moment. 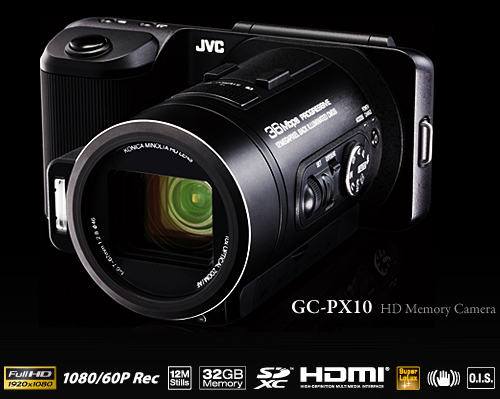 GC-PX10 is not a video camera that also records stills, nor is it a digital still camera that also records videos. It is a true hybrid that has been redesigned to provide satisfaction no matter what you choose to record, and offers unique advantages of being an all-in-one camera. Just like the motor drive equipped on SLR cameras, this mode allows you to record stills in rapid succession. Enjoy being able to record 8.3 Megapixel stills at 60fps, for up to 130 shots (about 2.1 sec.). Get sharp, crisp images for every split-second of movement. Capture even fast-paced action as high quality digital stills. Note: Saving may take some time after recording many continuous shots. Videos are recorded at Full HD 1920x1080, but that’s just part of the story. Progressive video means that each individual frame is a complete, high-resolution picture unlike interlace. And the 36Mbps high sampling rate means each frame image is filled with more image detail. Combined, these factors allow capturing of blur-less still images from recorded video with one-button ease. You just keep rolling, knowing you can always go back and select your hero shot afterwards. At the heart of GC-PX10 is the FALCONBRID™ imaging engine which provides high-speed processing of large amounts of pixel data for both video and stills. 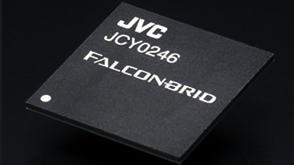 The one-chip design helps to reduce size and energy consumption while optimizing efficiency and speed. High-speed recording enables super slow motion playback, so you can analyze movements that may not be visible to the naked eye in real time. 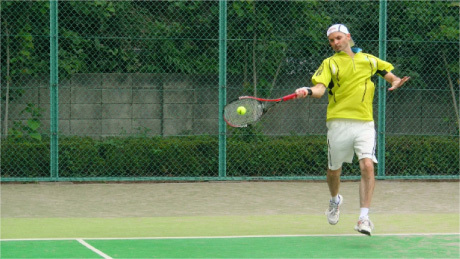 Use it as an effective tool for sports technique analysis and nature studies. What’s more, it can be used up to 2 hours straight, so you can record an entire match or game. Time-Lapse REC records one frame at a time at set intervals (1sec./5sec./40sec.). So you can watch movement that’s hours long in just a few seconds when played back. It’s great when you want to observe an event that takes place over a long period of time or to record unique-looking scenes in a creative way. 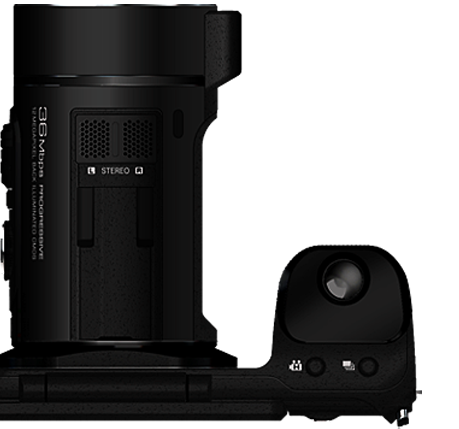 GC-PX10 uses a new KONICA MINOLTA HD LENS with a 10x optical zoom, and magnifies up to 19x* without any picture degradation thanks to Dynamic Zoom technology. 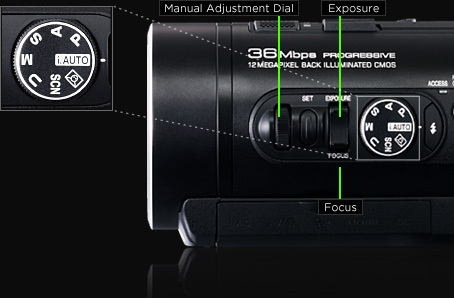 GC-PX10 offers double the assurance of camera shake compensation. First, its Optical Image Stabilizer (O.I.S.) uses prism technology to deliver effective results over the entire zoom range. Added to this, the Advanced Image Stabilizer system capitalizes on the large area of the CMOS to boost image stability in the wide-angle range, such as when you’re moving with the subject. *Especially effective when recording bright scenes at wide angle. The 12 Megapixel CMOS also allows GC-PX10 to record real non-interpolated 12 Megapixel stills. And high-sensitivity ISO6400 enables shake-free crisp images even for low-lit situations. Enjoy recording pristine digital stills with high resolution and sharp details, even if the lighting is less than ideal. Restores the sound details lost during compression to enable h igh-quality audio playback that is closer to the original. Touch operation makes using GC-PX10 so easy and intuitive. The LCD screen is also tiltable making it easier to record low-angle shots or even self-portraits. The Mode Dial provides easy control during video and still recording while the manual adjustment dial enables precise adjustment for various manual settings. Insert an optional Eye-Fi card into the SDXC Card slot and GC-PX10 is ready for wireless connection. In your home, or café, anywhere Wi-Fi is available, you can upload your videos and stills without using a PC. *Use of Eye-Fi card may be illegal and prohibited in countries and regions where it has not been approved by competent authorities. Please contact Eye-Fi support for the details of approved countries and regions. 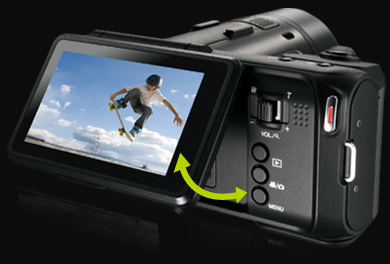 The internal flash memory allows you to simply grab the GC-PX10 and start recording immediately. For additional storage capacity as well as easy data sharing, there’s an SD/SDHC/SDX C Card-compatible slot so you can record on to readily available SD Cards as well. Just say cheese! The Smile Meter keeps an eye on how much your subjects are smiling, giving you a % display. 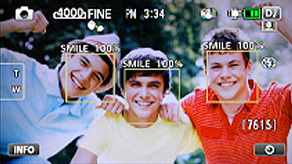 With Smile Shot, the camera automatically takes a picture every time the smile % reaches a certain level. Edit like a pro by adding text, music and effects. But you don’t need pro level expertise since simple icon-based operation enables easy, intuitive video editing as well as quick uploading to video sharing sites. Basically video is made up of still images, one after the other. So, by offering the ability to record beautiful video, we consequently are delivering the ability to capture beautiful stills as well. and recorded in progressive format which provides high-density videos. We believe this boasts the highest performance levels among consumer video cameras today. Detailed, high quality stills can be captured from video. This remarkable video performance means each frame of video contains more than twice the visual information of conventional video. As a result, it’s now possible to capture a single frame of video as a digital still image that lives up to photographic expectations. When dealing with a moving subject, it’s really difficult to get that perfect shot, that elusive “hero shot”, using a still camera. But with this camera, you can just keep recording everything, and later go back and pick out that perfect shot with ease. Try it, it’s really amazing. To allow this camera to integrate video and digital stills at a high level, it was equipped with a 12 Megapixel image sensor that produces images on a level that has been commended even by professional photographers. In addition to normal shooting, this camera also provides various shooting functions like consecutive still shooting, high-speed video recording for up to 2 hours, and time-lapse recording. These functions give the user the ability to “control time”, which will be ideal for a wide range of applications including taking a closer look at sports scenes or daily events. I hope people will enjoy the way in which our expertise as a video manufacturer let us integrate video and stills in this unique product. 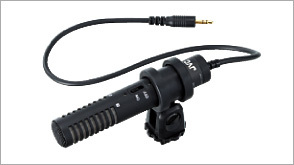 This product includes patented and other proprietary technology and is made to be used with the JVC Data Battery and not with other batteries. 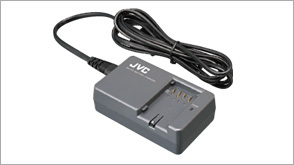 JVC cannot guarantee safety or performance of this product when it is operated by other batteries. 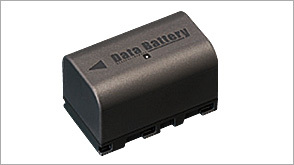 For additional information about JVC Data Battery, please contact an authorized JVC dealer in your country. Note: Not all accessories available in every region. Please check with your dealer. • Convenient case to easily carry, store and protect GC-PX10 with its series of accessories like AC adapter and extra battery, etc. 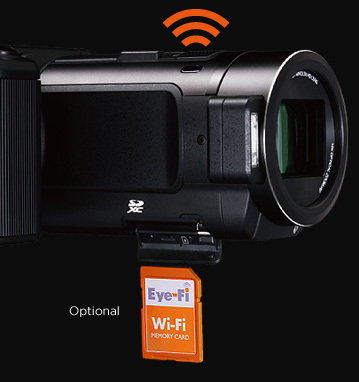 *To record video, SDHC/SDXC card with Class 4 or higher performance is required. For UHR mode, please use Class 6 or higher. Digital stills can be recorded on SD, SDHC, or SDXC cards. SD memory cards (256MB to 2GB), SDHC memory cards (4GB to 32GB) and SDXC memory cards (48GB to 64GB) have been tested for the following brands: Panasonic, Toshiba, SanDisk. Compatible with UHS SD cards, but UHS Speed Class is not supported. Note that using other media may result in recording failure or data loss. 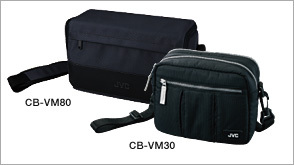 For compatibility of memory cards, please consult an authorized JVC dealer. It should be noted that it may be unlawful to re-record pre-recorded tapes, records, or discs without the consent of the owner of copyright in the sound or video recording, broadcast or cable program and in any literary, dramatic, musical, or artistic work embodied therein. Microsoft® and Windows® are either registered trademarks or trademarks of Microsoft Corporation in the United States and/or other countries. This product's YouTube™ upload functionality is included under license from YouTube LLC. The presence of YouTube™ upload functionality in this product is not an endorsement or recommendation of the product by YouTube LLC. YouTube and the YouTube logo are trademarks and/or registered trademarks of YouTube LLC. 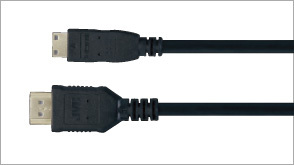 The iFrame logo and iFrame symbol are trademarks of Apple Inc.
HDMI, the HDMI logo and High-Definition Multimedia Interface are trademarks or registered trademarks of HDMI Licensing LLC. The SD, SDHC, and SDXC logos are trademarks of the SD Card Association. All brand names are trademarks, registered trademarks, or trade names of their respective holders. Screen images and print samples on this website are simulated unless otherwise specified.